Knútr and Arnbjôrg and Guðvér(?) and Gunnarr and Halfdan and Ingifastr raised this stone ... ... in Grjót and sarcophagus/hospice and bridge. May God now help his spirit. Grjót must be the old way they wrote Gryta. 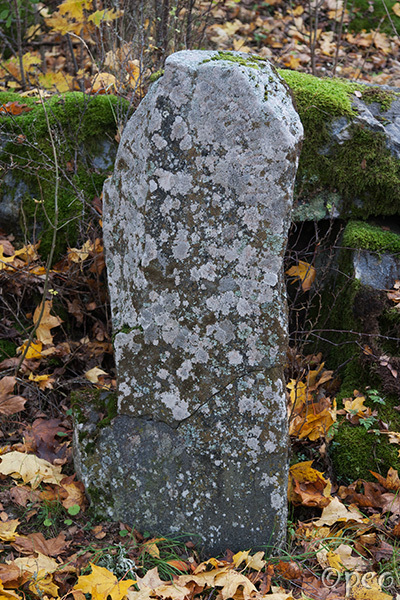 As you can see, this rune stone is covered with lichen, so it's hard to see much of the text. Point at the picture to see a close-up of the stone.